Ron and Maggie Tear Photography: Strokkur at full hieght. 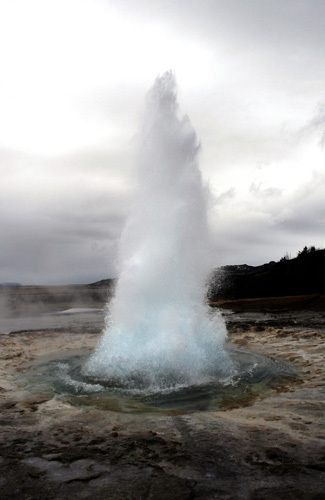 Strokkur blowing it's top with regularity at Geysir. Fantastic sight and sound. Geysir, Iceland, Arctic circle, Atlantic ocean.